The Gilli's are an assortment of islands located between Bali and Lombok. 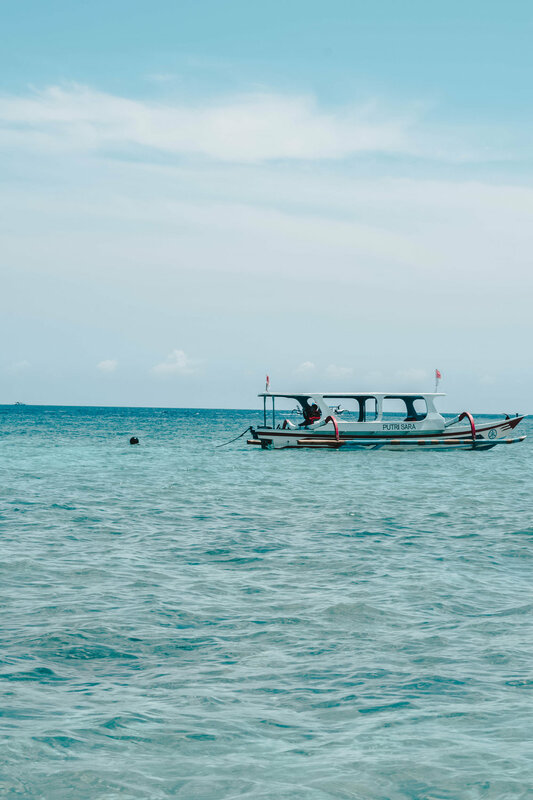 There are 3 famous ones (Gilli Meno, Gilli Trawangan and Gilli Air) but there are also loads of quieter and smaller ones that you could also visit. Gilli Trawangan, Air and Meno are only accessible via boat and can be accessed from Bali (1hr30 on a Fast boat or 3 hours on a standard boat) or are around 45minutes via boat from Sengiggi Beach on Lombok. Gilli Nanggu, Kedis and Tangkong are also only accessible via boat but you can only get to them via Lombok. This involves a 1hr30-minute drive from Kuta and then a 15-minute boat ride. If you were accessing these from Sengiggi, you'd have to factor in a long drive. We visited a total of 6 Gilli's - the main three (Trawangan, Air and Meno) but also three smaller and quieter ones. Whilst we were in Lombok, we stayed in two locations - the south-west (Novotel in Kuta - about 30 minutes from the Airport) and in Sengiggi (West coast - about 1 hr from the airport). We did this because there are so many things to do in the south of the island and in the north - and if you only stayed in one place, you'd have to count in substantial car journeys into your trip. So now you know the basic travel details, read on for a review of each island! Gilli Nanggu, Gilli Tangkong & Gilli Kedis. 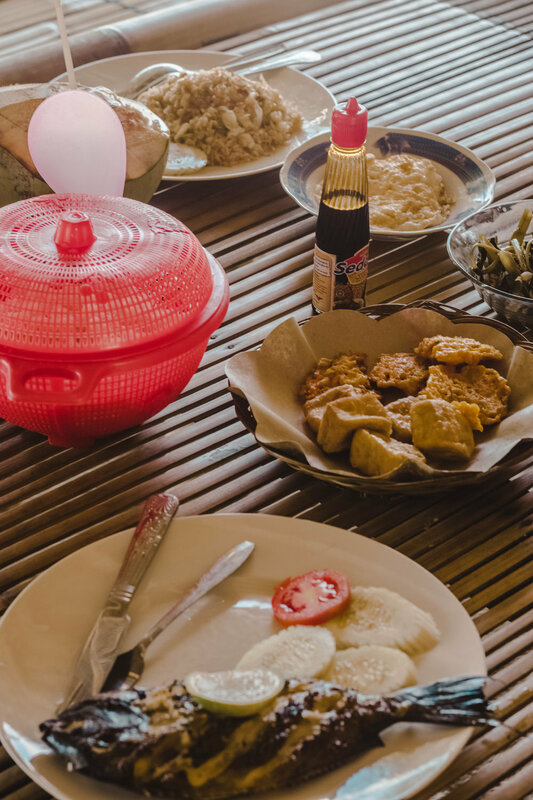 This group of three islands are located in the South West of Lombok and are substantially quieter than the bigger Gilli's, so if you're after a quiet day without masses of tourists, these are definitely the best option! Unlike some of the bigger islands, there is only one hotel on Gilli Nanggu, but otherwise, the islands are basically deserted. Gilli Nanggu. The snorkelling here is straight off the beach and there's a great selection of coral and fish! Most boat guides carry bread so you can feed the fish if you'd like, but we made the decision not to. This would be best if you didn't want a full day trip as to be honest, 1 hour of snorkelling is more than enough! Fish we saw included clown fish, angel fish, rainbow fish and barracuda. Coral is fairly plain except for a few electric blues - so it's all about the fish here! Gilli Tangkong. This is where we ate lunch. Our guide arranged for us to have fresh barbecued fish and rice which was so wonderful! We were also given very necessary whole coconuts so we could top up our hydration levels! There's literally nothing on this island aside from a quite basic bathroom, and apparently, the snorkelling isn't anything special either. Gilli Kedis. This island is tiny - it would probably only take 4 minutes to walk around it! Our guide took us here as the last stop because of the ever so cliche swing! The Gilli's are famous for these swings and they have one on every island (except for Gilli Nanggu!). There is a little shop here and a few sunbeds but this is definitely the stop to go for the photos. Not much snorkelling but definitely the whitest beaches! Gilli Trawangan, Gilli Air and Gilli Meno. When people talk about the Gilli's, these are the three that they're most likely to have been to! They're pretty famous but they're also pretty touristy - although nowhere near as busy as some of the Thai beaches I've been to! Gilli Trawangan is famous for its sea turtles and even houses a turtle nursery (very cute!). We snorkelled off the boat and within metres, spotted a huge sea turtle! Despite its reputation for sea turtles, I had definitely taken it with a pinch of salt and the fact that we went on to see a total of four sea turtles within 20 minutes was absolutely incredible! (It also says a lot that our guide was apologetic that we got to see so few!). 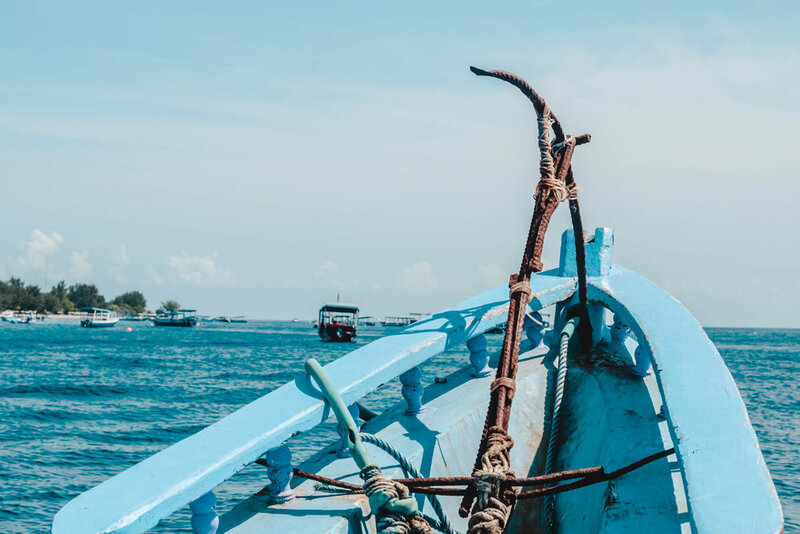 You can stay on Gilli Trawangan which may be a good option if two boat trips in one day are too much! Despite it being the busier island, the beach was still clean and there was no visible water pollution that we could see! Bear in mind that the only transport on this island (aside from boat) is horse-drawn carriage so bring a sports bag and not a suitcase! We also ate here - not sure what cafe we ate at as our guide just recommended it! Obviously, I'd suggest getting some fresh seafood- I had prawn sweet and sour which was delicious! Gilli Air was our final stop and it definitely was my least favourite. Again, there was plenty of nice coral and fish but after Trawangan and Meno, there was nothing we hadn't seen! By this point, we were pretty tired so we only spent about 15 minutes here. 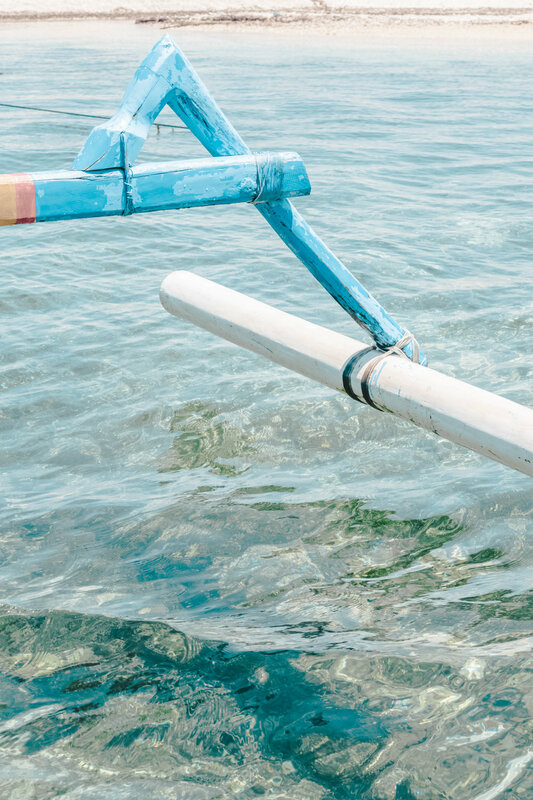 Despite being slightly apprehensive about the "busier" Gilli's, Trawangan, Meno and Air were my favourites and the ones I'd definitely recommend visiting as a priority! If you do have more time in Lombok, I'd suggest staying in two parts of the island and visiting some of the parts in the south - stay tuned for a post on Lombok! Have you been to the Gilli's? What were some of your favourite parts?